The Jungian approach to analysis and psychotherapy has been undergoing an extensive reconsideration during the past decade. Analytical Psychology calls special attention to the areas that have been most impacted: the core concepts and practices of the Jungian tradition, along with relevant intellectual and historical background. * a new formulation of synchronicity. Analytical Psychology presents a unique opportunity to witness a school of psychotherapy going through a renaissance. Drawing on original insights from its founder, C.G. 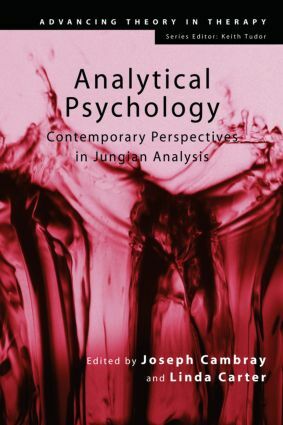 Jung, this book helps focus and shape the current state of analytical psychology and point to areas for future exploration. Zabriskie, Introduction. Kirsch, History of Analytical Psycholog Hogenson, Archetypes: Emergence and the Psyche's Deep Structure. Knox, Developmental Aspects of Analytical Psychology: New Perspectives from Cognitive Neuroscience and Attachment Theory. Cambray, Carter, Analytic Methods Revisited. Wiener, Transference and Countertransference: Contemporary Perspectives. Beebe, Understanding Consciousness Through the Theory of Psychological Types. Singer, Kimbles, The Emerging Theory of Cultural Complexes. Stein, Spiritual and Religious Aspects of Modern Analysis. Cambray, Synchronicity as Emergence. Solomon, The Ethical Attitude in Analytic Training and Practice: Archetypal and Developmental Perspective and Implications for Continuing Professional Development. Joseph Cambray is the Honorary Secretary of the International Association for Analytical Psychology and co-editor-in-chief of the Journal of Analytical Psychology. Linda Carter is in private practice in Boston, MA and Providence, RI. She is on the faculty of the CG Jung Institute of Boston, where she supervises and teaches analysts in training. Most books covering individual therapeutic approaches are aimed at the trainee/student market. This series, however, is concerned with advanced and advancing theory, offering the reader comparative and comparable coverage of a number of therapeutic approaches. Aimed at professionals and postgraduates, Advancing Theory in Therapy will cover an impressive range of theories. develop a critical view of theory and practice.